A piece of technology everyone uses these days that will make you laugh…My friend walked past me in the street last week (I was sitting down with my laptop having a coffee at a local cafe). “Have a look at this” he says, handing me a small box containing a new USB cable he’s just bought. You just have to love the quality of this translation eh? 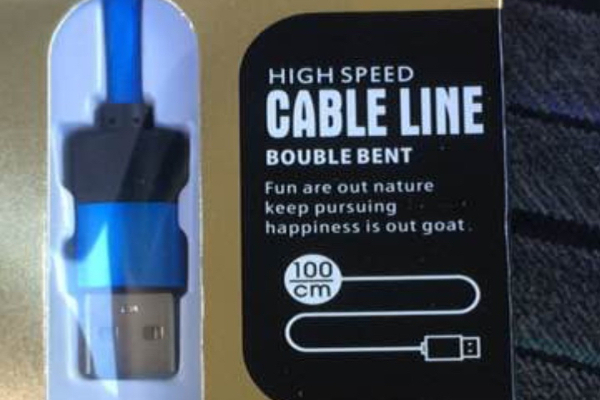 I’ll let you figure out what ‘Double bent’ actually means, although we’ve already decided that “Happiness is a goat” make perfect sense to someone, somewhere, lol.